If you're at all worried about your energy levels during the 12-hour muddy schlep, it’s handy to have one of these nifty oxygen cans as a backup. Called Boost Oxygen, it's simply a canister of 95 percent pure oxygen with a mouth piece on top. 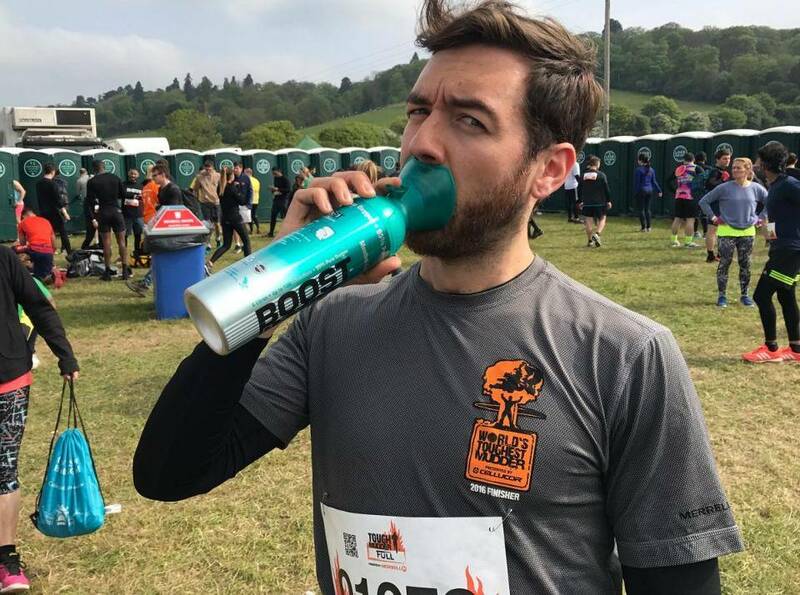 It's supposed to help to enhance your performance during endurance and sports events as well as aiding faster recovery afterwards, so I used it right before and right after the Tough Mudder event. It didn’t work any miracles but after sucking up a lung full of this stuff, it definitely makes you feel like it’s doing some good; ensuring you’re more determined to take on the world. Whether that's psycho-semantic or not, still - it works!